We thank you for taking the time to research Mel Carr Electric for your residential electrical needs. Our incredible customer service and highly trained electricians are just some of the ways that this family-owned company is leading the pack among residential service technicians in the Capital Region. 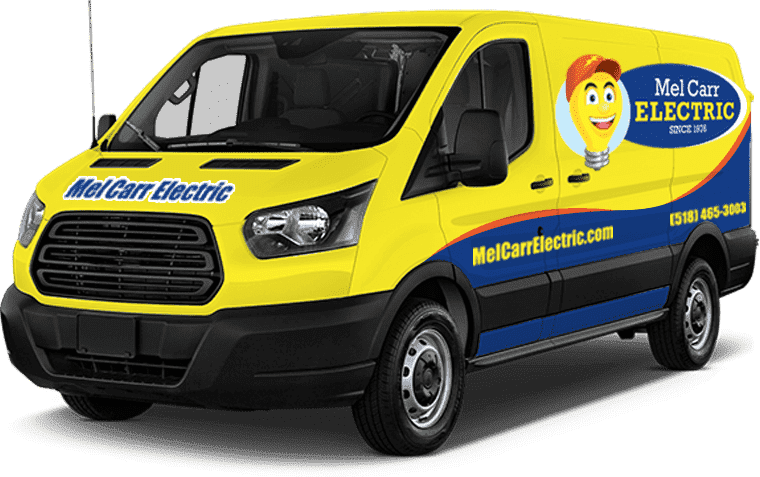 Mel Carr Electric has grown to include numerous service trucks, a highly trained staff of qualified professional electricians and support staff, and an incomparable commitment to excellent customer service. The policies and standards of our company have set the path for other electrical contractors to follow. We were the first company in the area to offer up-front, flat-rate pricing on ALL jobs! This gives you the benefit of knowing the total cost of your project, before we ever begin! We were the first electrical company to wear uniforms and booties on our feet to protect your home and leave it as beautiful as when we arrived. Our bright yellow trucks and name badges clearly let you know who is coming to your home to do work for you. Read our story to find out how we got started as a small electrical shop in a garage! We have a commitment to always serve our customers, employees, and community with integrity. Make sure you are keeping your home and family safe by reading our latest industry updates. A warm and friendly greeting on the telephone by a real member of our staff. Up-front pricing for the entire job and no cost surprises at completion. Experienced, trained, and qualified technicians to troubleshoot problems. Our guarantee that you will be 100% satisfied with the service and workmanship received. Albany, Capital District Area, Delmar, Latham, Colonie, Greenbush, Guilderland, Clifton Park, and surrounding areas. Jun 13, 2018 Lighting Design 101: What lighting is right for your room?